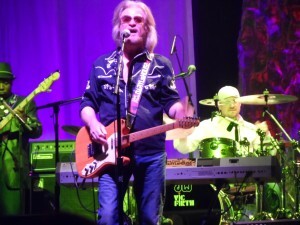 Daryl Hall opened his new “Daryl’s House” – a music venue and restaurant in Pawling, N.Y. – on Halloween night. He was joined by longtime bandmate John Oates for a concert that was streamed online. That was never going to happen anyway. Daryl Hall and John Oates would never have a conversation about covering that song in one of their shows, even on Halloween. To do so would severely compromise the integrity of their H&OHQ – Hall & Oates Hipness Quotient. No, this fright night performance on Oct. 31, 2014, was about something completely different. It christened the new “Daryl’s House” – a renovated music venue and restaurant – that used to be known as the Town Crier in Pawling, N.Y.
It’s the next step in the evolution of “Live From Daryl’s House,” an internet and cable show that Hall has hosted since 2007. Episodes for the show, which airs on the cable channel Palladia, will be filmed there without an audience, but at all other times, the venue’s bar, restaurant and stage will be open for business. And true to innovative form, this show had something for everyone, even for those of us who couldn’t be there. Because actually, we could be there, right from the comfort of our own family rooms. Yahoo streamed the concert live – and free – online. It was a “Daryl’s House” show that came right to one’s house. It was the first and only time that I’ve listened and watched an entire live concert from my recliner. Of course, I had the headphones on, and of course, I had the volume cranked. Hall & Oates shows are tight and relatively predictable. There’s not as much between-song banter or storytelling like we get at a John Oates solo show. 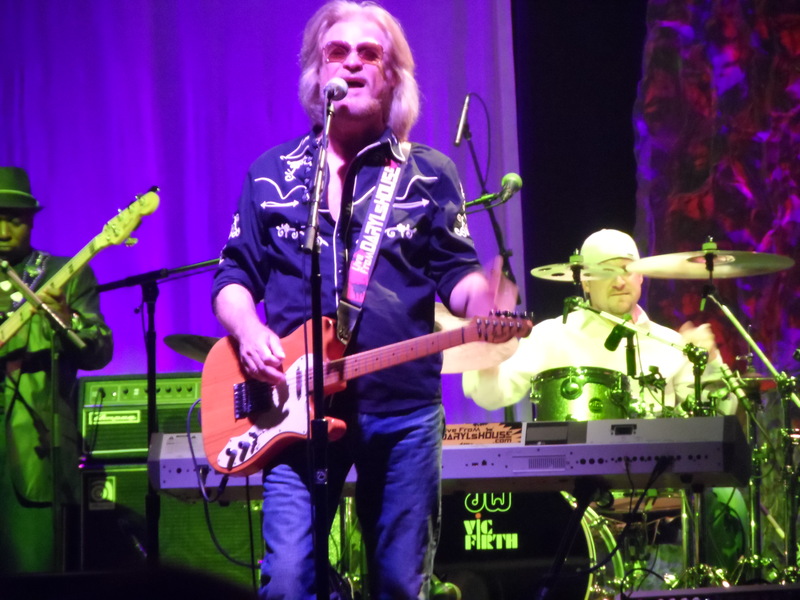 At a Hall & Oates show, we know we’re going to get the hits: “She’s Gone,” “Sara Smile,” “Rich Girl, “Maneater,” “Private Eyes,” “Kiss on My List.” We all love those songs. We all listen to those songs every time they’re on the radio. We all have those songs in our collections. Everybody seemed happy – I know I was – with the show, but nobody more than Daryl. “This is the way I hoped it would be,” he said toward the end of the performance. “This is a fantastic beginning to a real cool club. We got ourselves a clubhouse. That wouldn’t have happened without fan support, and that’s no joke. If you haven’t watched it, check Yahoo for the replay. Put the headphones on, turn it up and enjoy the unique Halloween night gig at Daryl’s new house. Watched it on yahoo and loved it. Two of the best still!! Longtime fan of the duo, and of those introduced and supported by them. I’d much rather be live and in person, but the “live by proxy” concept was really and truly satisfying. I tweeted my emotions, and promoted the gig to my crowd, hoping they’d tune in and give it a chance. Alas, I was alone in my headphones. I stayed at Hall’s parents’ place. This real Philly girl was a fish outta wooden in Chester County. Now I live there, and can honestly say I once was Live AT Daryl’s House. Damn.. I missed it. Working on a local campaign here. Love when the duo get together. There’s music you dance to, music you drink to, but for me, when they play as DH&JO, i’m forced to sit back and listen bc I’ve either been there before.. or I’m going through it now.. or I’m sliding into it at the moment. These boys write! Hopefully, TBone’s spirit (and contributions) are well represented.. I thought the show was OK, but I am not sure why Daryl even tries to sing songs like One on One these days….he is not 35 any more….and if he does want to, there is no shame in dropping the songs down a couple of keys, or simply not playing them. He has totally lost his falsetto, even though his full voice sounds great. Back Together Again was another one….I also thought given that they were playing to a room of die hard fans, they could have dug deeper into the catalogue….and possibly lose that 15 minute version of No Can Do. I have seen them live more than 20 times and this was by far my favorite. The Club is fabulous, true to Daryl’s style, absolutely awesome. Honored I got to be there. awesome start to the project, so glad i caught that it was on, excellent. girl you are so lucky to have seen them that many times…I hold on to the three I have seen as if they were my life..The visions are still so vivid….Daryl is my heart of hearts and John is great….they make music that still holds up today….they are and will always be the best duo in music history…..I didn’t get to see the show on yahoo….either….do u think they will replay it again….fingers crossed….